In 2015, a new library was built for the Seoul National University. The eight-floor building located in Seoul’s most southern district was designed by Tae Yong Yoo from The Je Architects. The Kwanjeong library appears to embrace parts of the old building. The grid-like façade consists of overlapping modules arranged in asymmetrical order. Besides the reading rooms equipped with state-of-the-art Korean OLED lighting, the self-supporting structure features comfortable multi-media zones and laptop workstations, conference and seminar rooms, an auditorium and a roof garden. 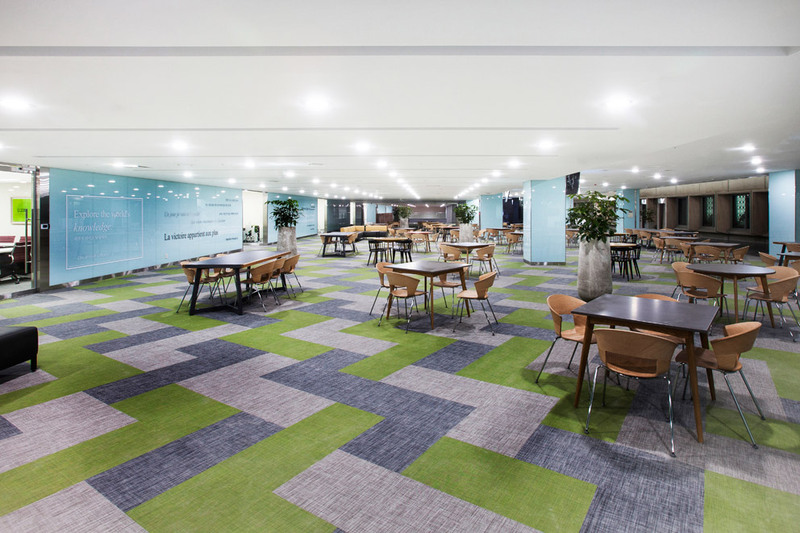 Covering a floor space of 3,600 sqm, the group study rooms and common areas feature the flexible LOOM+ flooring by NOX. This high-end woven vinyl flooring combines the aesthetics of a traditional carpet with durability, low maintenance and sound-absorbing qualities. The ‘Study Garden’ features tiles in green, charcoal and light grey, arranged to form geometric patterns and to match the design of the building’s façade. “In this area, students can relax and discuss with friends. 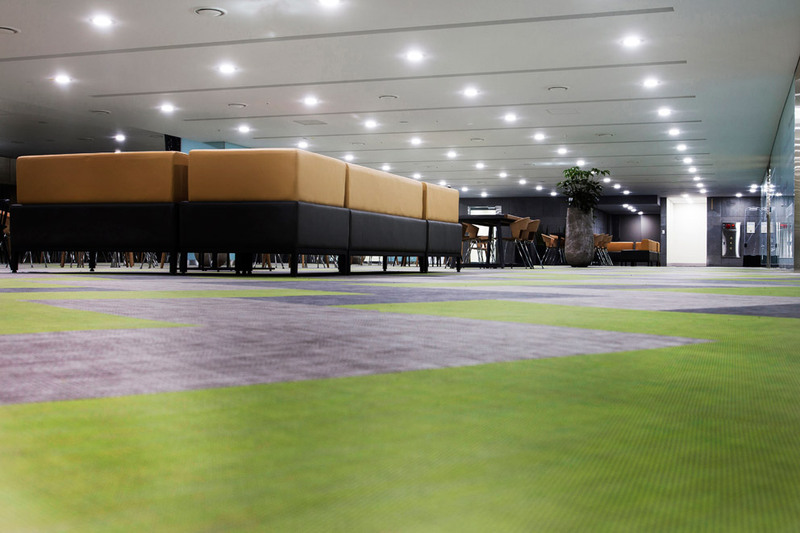 Through mixing and matching different colours, the LOOM+ flooring contributes to create a dynamic and inspiring ambience”, says Tae Yong Yoo. Different shades of grey are used on the other floors. The floor’s textile feel underlines the overall residential ambience, which was one of the requirements stated by the university’s management. In addition to its sound-absorbing qualities, LOOM+ is washable and has antibacterial and antifungal properties. Floor Score label certify the material’s environmental friendliness, for example the fact that the tiles are laid without needing glue. 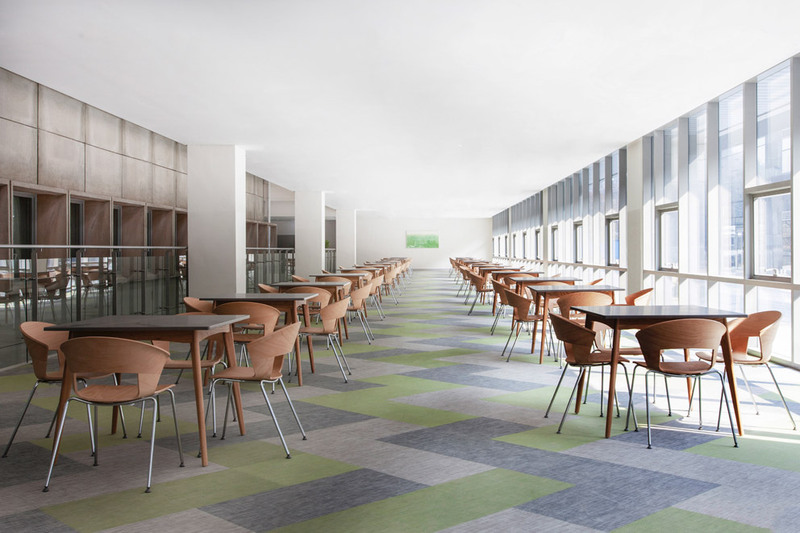 LOOM+ by NOX Corporation received the 2015 Innovations@DOMOTEX label in the ‘flexible flooring’ category. The Korean company will again exhibit its products at DOMOTEX 2016.